Most people I know would run far away when spotting a vintage little old lady dress. Me, I run towards it with open arms and hungry eyes. This dress reminds me of the ones my Grandma used to sew for herself for Sunday church. This dress is probably from the 1970’s. I will openly admit it was the floral pattern and colours that attracted me. It’s not too difficult to style something boho. pretty much. Patchwork and pattern can also be styled boho but florals are my personal favourite. Tip #2 Add in some suede or leather boots and a hat. Tip #3 If you want to get really fancy add a bunch of oversized funky rings and some long necklaces. I left those off this time around because of the belt. Tip #4 Add some texture in the form of fringe, velvet or leather. I could have added a fringed long vest if I wanted to go all out boho, but sometimes I like to let a great pattern like this carry the show. The look below is a little less boho because I went with a shorter jacket. If I’d gone with a long leather/suede coat or vest it would have kept more with the boho vibe. Fur can also be quite boho but I’m not too keen on it myself unless it is faux. I did just purchase a fur trimmed vintage long leather coat but it is still in my oversized coffee bag for smell removal. Vintage or thrift shopping requires that you visualize the piece differently, outside of the environment you found it in. 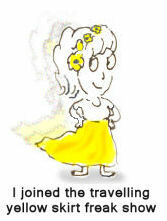 Your imagination is your best friend when thrift or vintage shopping. I don’t believe that vintage needs to be paired with vintage. I’m wearing thrifted boots that are probably five years old, a new-ish hat from Anthropologie last year and a belt I’ve had forever. Combining clothing from different eras creates visual interest, not disharmony. I tried out some serious “modelling poses” here. Ha ha! My personal assistant was already laughing. Well, between snores that is. She is always so busy relaxing. 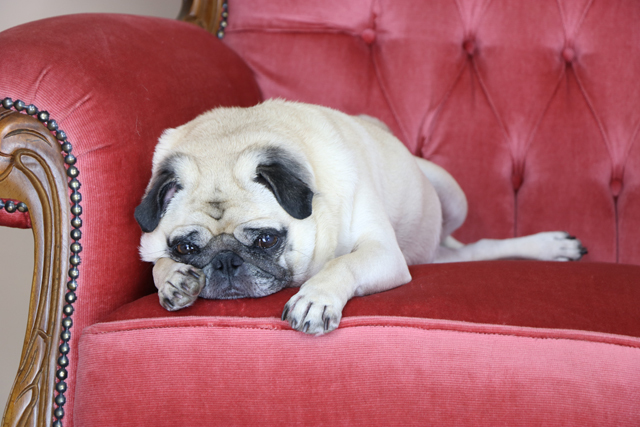 One day blends into the next when you live the life of a spoiled pug. Are you keen on the boho look? What about the little old lady dress? Wow! This doesn’t look like any “little old lady” dress! Fabulous styling, Suzanne! I agree, colours and pattern are always what attract me. Although I can see you look good in it, I am not that keen on it. With my head, hair and wrinkles, I will look like an old lady. Besides I wouldn’t know how to style it properly anyway. And.. I am totally not boho. Only have one white boho tunic. That’s all. 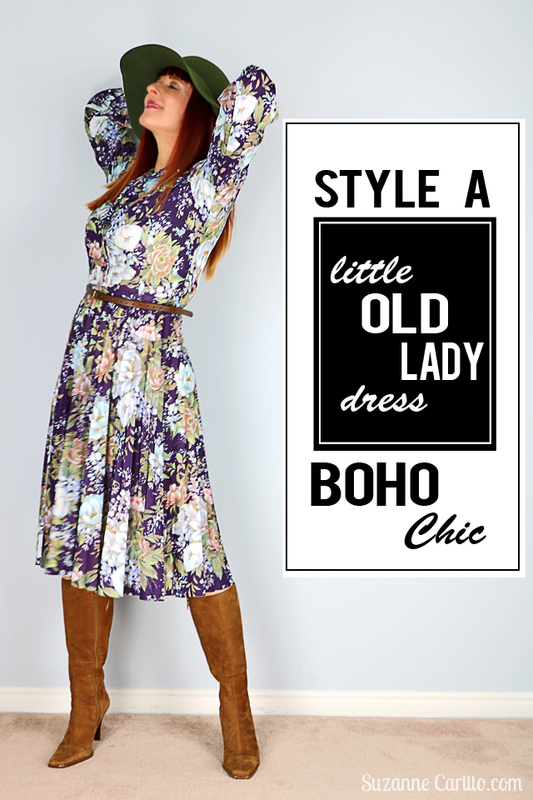 I love the boho look but I would never really have called this dress an old lady dress! When I worked in mental handicap hospitals in the 1970s and 1980s all the female residents were dressed identically in crimplene floral or patterned dresses, usually A line or sack shaped, and matched with colour ordinated crimplene cardigans – now they were old lady dresses! I love this ‘old lady’ dress and it looks fantastic on you. The boots are a genius touch and I love the hat and belt with the dress – it looks so cool and very elegant. I also would gravitate towards that dress, and love the way you gave it an update with the suede boots jacket and hat ! Now it looks n point and is lovely on you! 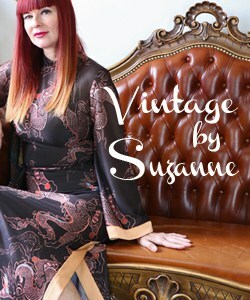 I’m loving this dress on you Suzanne! Great colors and perfect with the Yan leather and boots! Totally laughed at your description of this as a ‘little old lady dress’. haha! Love it paired with the jacket! Well, this doesn’t look anything like the dresses the little old ladies wear around here! Boho is a style I’ve never embraced, and dresses like that make me look like a little old lady, especially with my grey hair. However, I love this outfit on you – the hat and boots make it modern, and your hair colour looks so good with patterns like this. You and Greetje are of the same opinion. You’re dead right, it ain’t what you wear it’s the way that you wear it. I have to admit, I would never have bought that dress. I wouldn’t call it old lady, but I had some just like it in the day (in fact, mom has one still in her closet!). Not that it’s bad, I just think of it as old fashioned. But I think it’s such a great example of how you can take a piece that maybe isn’t your fave and turn it into something that rocks!! Now if you had put on white pumps with the dress, I would have imagined you in the 80’s. But those boots are quite perfect!! Poor Zoe, gets so abused I can see…. I think it also is interesting since I believe you and I are the same age (aren’t we?). I didn’t own anything like this. Maybe that is why I was attracted to it. It reminded me of prints from the late 70’s. Yes, I am a slave to the pug. We are the same age (although I think I’m like 9 months older—ha ha), but maybe I had dresses like this because I shopped at thrift stores and wore them only 15 years ago?? Doesn’t it kinda remind you of the one my mom is wearing in this post: http://bit.ly/1NYcDTI ? Wow! More than just a little bit! This dress couldn’t look further away from little ol lady than it does on you in those classic model poses – go girl! This a great feature with lots of useful tips on how to. It’s all down to the accessories as Vix says and if you keep mixing them up eventually you’ll find the things that transform it to your very own style. I would run towards that dress with open arms too! I love how you’ve styled it here. I don’t often add a “boho” look to my outfits, but I really like the more subtle touches you’ve added here. It doesn’t surprise me that you would also love this dress : ) We can never go thrifting together! In so many ways this is really a classic shirtdress. The fact that it’s floral may make it seem like a little old lady look, but clearly accessories, attitude, a sincere smile and a pouty pug make this look quite charming!! It is true that this is a very classic style. I also find it very feminine. I have a vision of you running with hungry eyes and grasping hands towards that boho dress. The problem is the “little old lady” is still wearing it and she pulls out her pepper spray or worse. Hahaha. That would have been good in the video. Heh. Yes, finding good stuff can take us to extremes! Your styling as always is spot on. I LOVE your model poses! Wasn’t that fun? Your opening photo is excellent!! Haha! Yeah…she’d probably turn around and do some Granny Ninja moves on me. Doing those “new moves” really freaked me out. LOL Zoe too. I know you, me and Vix can never shop together. I picked up some new pieces at an estate sale today that you would have fought me for. I love that dress and don’t think of little old lady at all, especially on you. I would wear it in a heartbeat. A classic shirtwaist style in a fab floral print. And the thing about classic pieces, you can style them in so many different ways for different looks. Love it paired with the hat and boots! 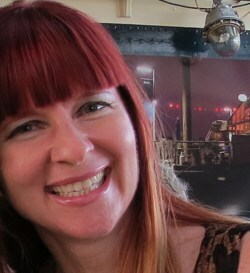 I do think my hair helps with ensuring not much looks very old lady on me : ) Probably why I’ve kept it for so long. I love that boho style and love how you styled your floral dress!, boots and a hat are the best idea ever to create that retro vibe with a twist! Accessories can transform any piece of clothing. The green of your hat really pulls the eye to notice the green in the dress print. Thanks for participating in Hat Attack!